Our amazing teachers and staff are here to help your child, learn, grow and explore! At Kiddie Junction Educational Institute, we enjoy a family type of atmosphere among staff and parents. 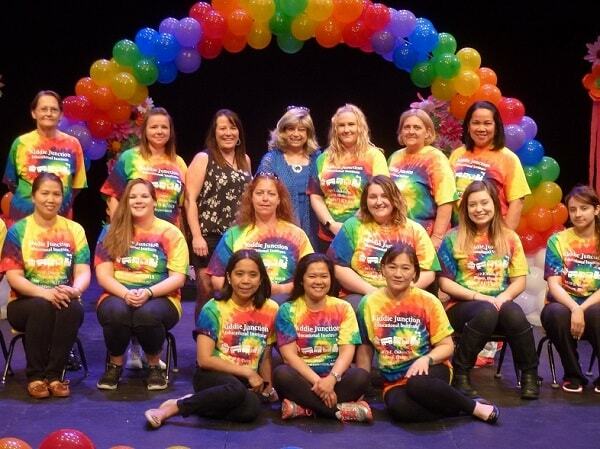 We offer extra programs at nominal charge and put on two productions each year that bring all the families together.Many of our wonderful teachers and staff have significant longevity with us; this consistency is very beneficial to your child as they develop. We believe and recognize that every child is an individual and that each child must be allowed to develop at his or her own pace. We accept, and respect differences between children including developmental, physical, Racial and Ethnic heritages and believe that each child must have the same opportunities and advantages as every other child.